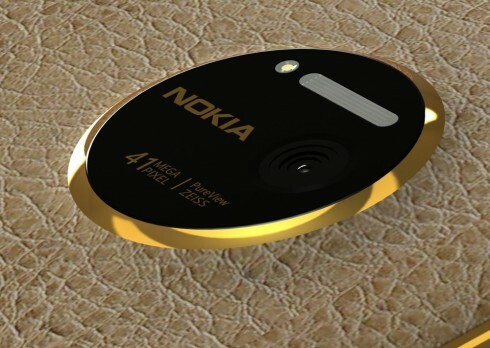 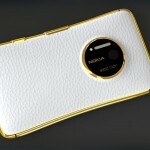 This time Edgar Mkrtchyan surprises us with a Nokia luxury phone, the Lumia 1030, that may feature a leather back or support your customizations. 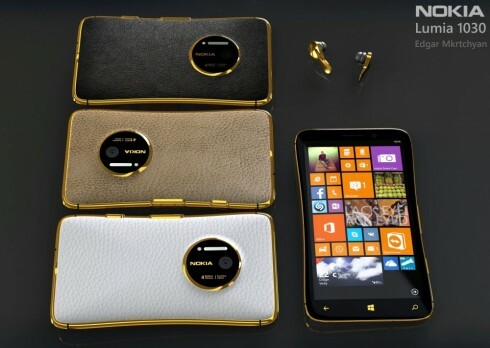 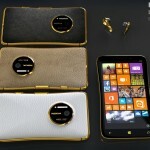 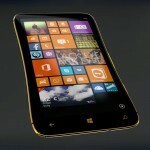 The handset has 3 versions of rear interchangeable covers and it runs Windows Phone 8 in a new version. 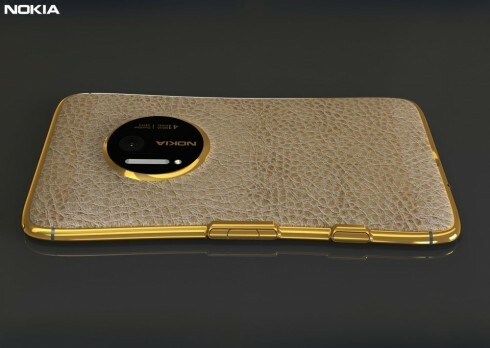 I like the golden metallic accents of the edges and camera, making me think it’s a real solid gold handset. 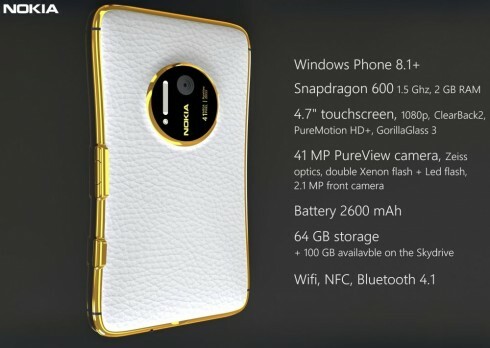 This model runs Windows Phone 8.1+ and the Nokia Lumia 1030 render also involves a quad core Snapdragon 600 1.5 GHz processor, 2 GB of RAM and a 4.7 inch touchscreen. The screen comes with ClearBlack 2 technology, PureMotion HD+ and Gorilla Glass 3. 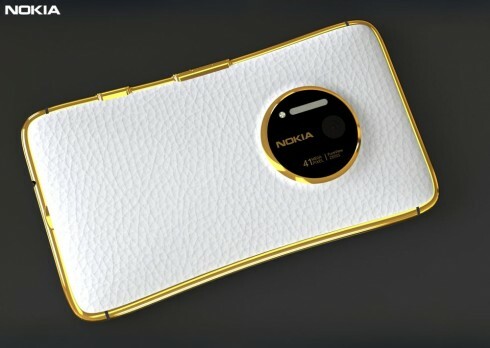 At the back there’s a 41 megapixel Pureview camera, Carl Zeiss optics, a Xenon flash and LED flash, while upfront we’ve got a 2.1 megapixel shooter. 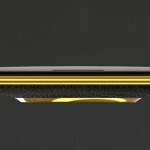 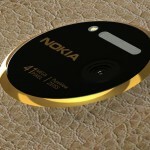 The battery inside the Nokia concept is a 2600 mAh unit and other specs include 64 GB of storage and 100 GB on SkyDrive. 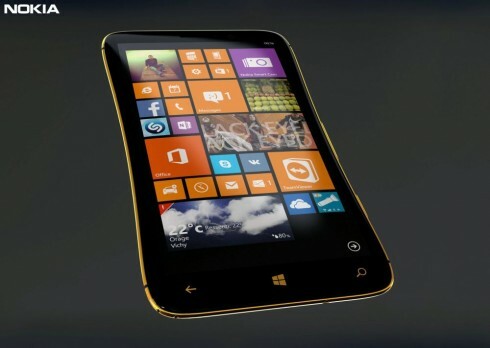 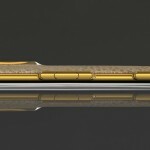 The shape of the phone lightly resembles the format of a hourglass and this device is very, very elegant.